No not at all! Very impressed. YAY I am going to show my husband this! No - not at all. Err I think. Because I think I probably have that much too. Eek! Hoorah! I knew I didn't have THAT much! It's quite a lot but not over the top! Mine is a mess, would be too embarrassed to show it! Mine is TERRIBLE but I'm an all up front honesty girl - what you see is what you get - mess and all. There is NO organisation to ANY of this! And that is why you never need repeat an outfit!! Lol you've seen my closet!! And that is why we are friends - you make mine look like a simple wardrobe!! Good, I need more comments like this so the husband will REALISE I'm not alone! Oh yes good luck with that one! I don't have anything hidden elsewhere - what you see is all I have (all as in poor me)!! It's amazing how all the places you put *hide* things adds up isn't it Fiona?!! So glad you posted this as it's making me feel good about all my clothes lol! Dare you to take pics of where it all is! It's one reason why I'm not shopping any more (new tankini not part of the spending ban as needs must)! 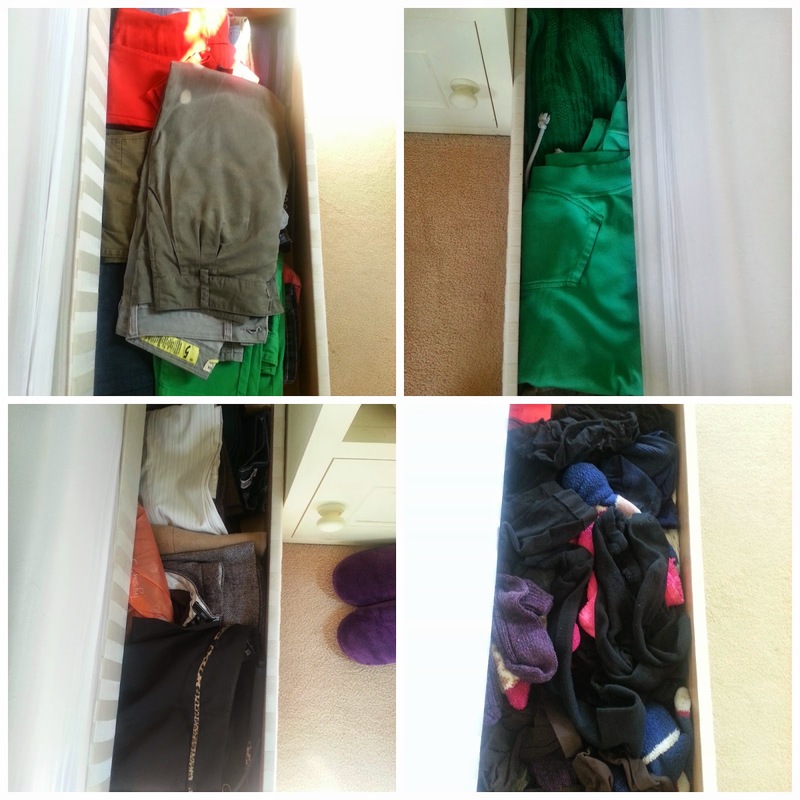 I am now 'done' and until I sell or give away my clothes I can't fit any more in! 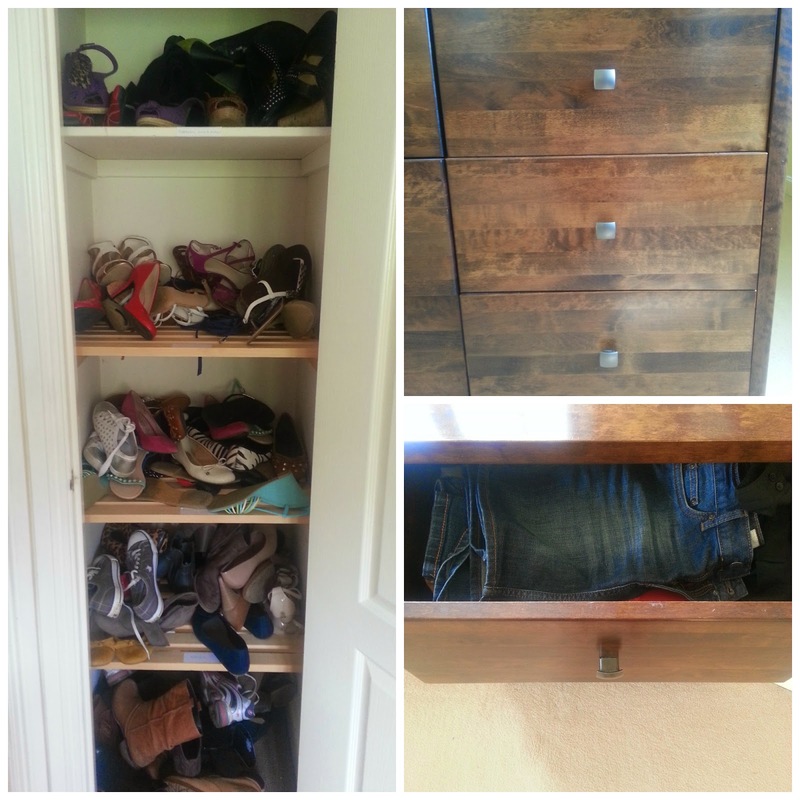 3 drawers and a single wardrobe. I can t believe you have so much! Oh no don't say that, my husband will love you! Stick to 'I have 43 wardrobes, you're a mere amateur Fiona'! Oooh best comment ever - showing husband! My clothes are cheap crap and not fit for resale, although that said. I do have a couple of items I should sell. ANYTHING I sell would be for me to spend on something new! There is no helping me really is there!!!!!! !